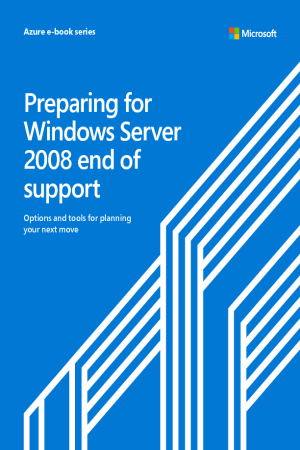 This e-book is for CIOs, CTOs, Senior IT Managers, and IT directors whose companies are currently using Windows Server 2008 (including Windows Server 2008 R2), for which extended support will expire on January 14, 2020. 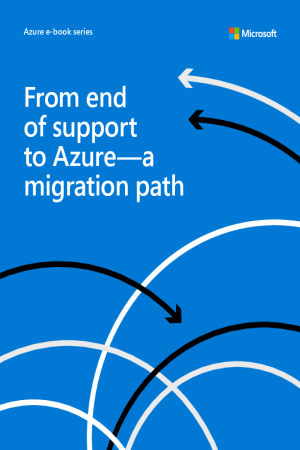 It illustrates the main benefits of moving to Azure Virtual Machines, particularly regarding security, savings, support, and the development experience. This e-book provides understanding and insight into the strategic and tactical aspects of such a move, as well as the business benefits (such as TCO/ROI), scope, and requirements to help you weigh your options. Microsoft is helping organizations to transform their organizations with end-to-end solutions that connects data, people, and equipment. 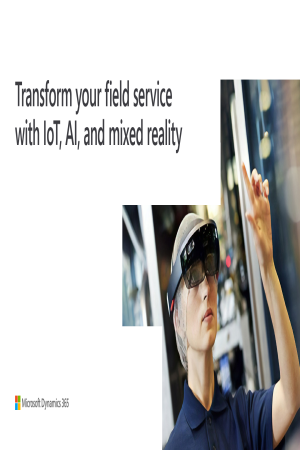 With connected field service solutions, manufacturers can deliver a profitable field service that deepens customer loyalty. Using these solutions provide manufacturers with higher visibility across their organization while minimizing downtime, reducing costs, and increasing customer satisfaction and sales through cross-selling and upselling opportunities. 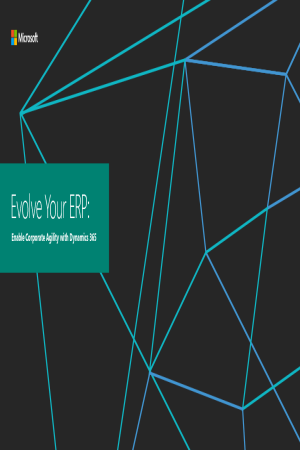 If you’re wondering whether your company’s ERP solution has fallen behind the competitive curve, here’s your answer: More than likely, yes. 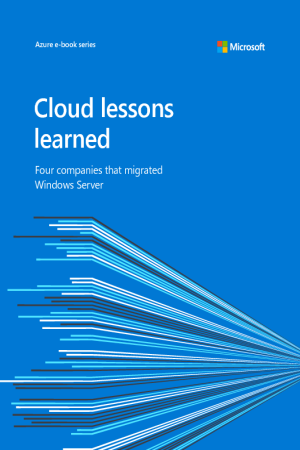 With end of support for Windows Server 2008 in the near future, cloud adoption provides considerable value over other alternatives, offering greater scalability, cost efficiency, control over security risks, and improved performance. 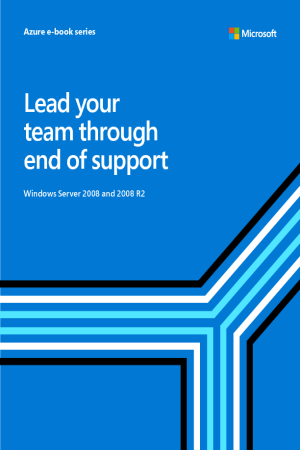 Specifically, Windows Server 2008 and 2008 R2 will reach end of support on January 14, 2020. As such, Microsoft Azure now includes three more years of security updates for Windows Server 2008 and 2008 R2 at no additional charge. As technology continues to develop at an exponential rate, business dynamics are also changing--demanding the rapid transformation of business processes for better growth. End of support is an ideal time to transform your IT estate with the cloud. But we know that it can be hard to upgrade everything before the end-ofsupport timeline. To address this need, we are pleased to announce that Extended Security Updates will be available for free in Azure for 2008 and 2008 R2 versions of Windows Server (and SQL Server) to help secure your workloads for three more years after the end-of-support deadline. You can rehost these workloads to Azure with no application code changes. Once considered a cost center, field service— including service requests, scheduling, resource assignment, and parts management—is becoming a profitable source of business intelligence and brand differentiation. 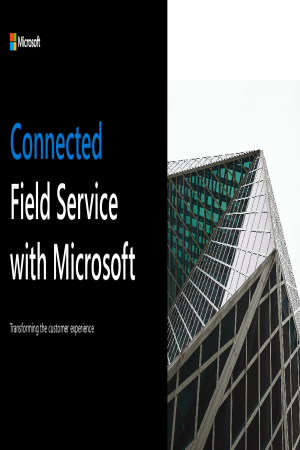 The key to this transformation is connected field service technology. Security threats are relentless. A cyberattack can cause millions of dollars in damage—to both your company’s bottom line and its reputation. Are you aware of the potential threats to your company? Do you have a plan in place to resist, mitigate, and recover after a breach? The General Data Protection Regulation (GDPR) is just one example of new compliance requirements in the digital age, but the regulatory landscape only continues to change. Globalization, increasing business complexity, and waves of new or revised laws and standards combine to make regulatory compliance a moving target. In a successful digital transformation, every employee must be completely on board, from executives to Firstline Workers, i.e., those workers who interact with customers, build and test products, or ensure operations run smoothly.